Not sure whether your dish is safe for the microwave? Don't guess because there are real dangers of using non microwave-safe dishes. Here's how you can test the microwave safety of dishes. 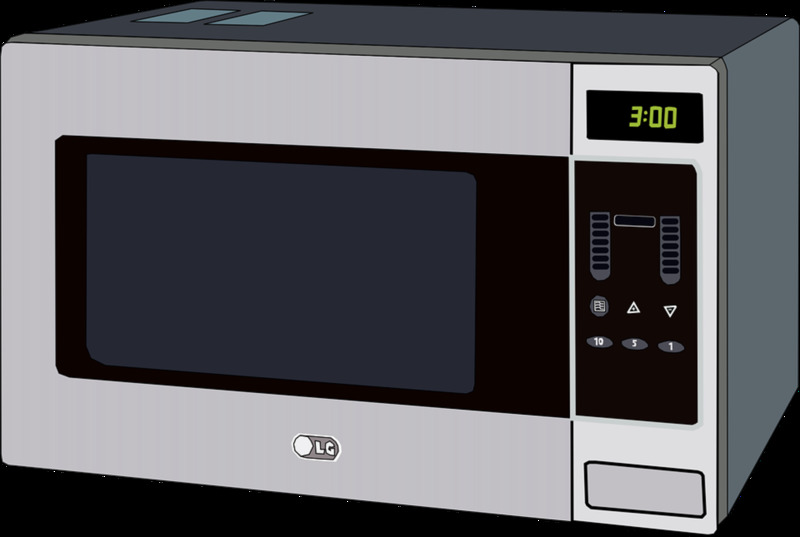 The microwave oven, commonly called microwave, has now become an essential and popular kitchen appliance for households, restaurants, hotels and vending points. It is worth knowing how to use microwave oven safely. This hub is about the dangers of using non microwave-safe dishes and how undertake a microwave safety test at home. 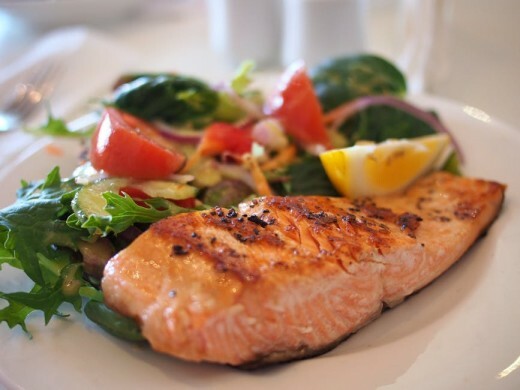 Using non-microwave-safe dishes in microwave ovens can cause damage to the dishes, food not heating well, fire, damage to the microwave oven itself and diseases from toxic chemicals in plastic seeping into the food when heated. Do not compromise your health and safety by just guessing if the dish is safe for microwave. Always undertake a microwave safety test to be on the safe side. I do not use plastic dishes in my microwave even if the label says it is microwave safe. I suggest you do more research on the risk and dangers of using plastic dishes in microwaves. An important piece of advice is to use dishes that are microwave-safe. That does not mean you have to replace all your dishes with microwave-safe dishes. You can test if the dishes you already have are microwave-safe by following the following two-step process. There are two ways to determine if a dish is safe for use in the microwave oven. A most common mistake we make is not fully reading the manufacturer’s label or instruction when we purchase something. Always read the instructions for microwave safety rules. The first way to tell if a dish is safe for microwave is to check the manufacturer’s label. Turn the dish around to the back and check the label. The manufacturer will indicate whether the dish is “microwave safe” or “not to use in microwave”. Not all manufacturers will have this label. If you can not find this on the manufacturers label or instructions for use, you will have to test the microwave safety of the dishes yourself. You can test the microwave safety of dishes at home if there is no manufacturer’s label or price tag to tell if the dish is safe or unsafe for microwave. For that, you need the dish to be tested and a microwave-safe cup or glass. 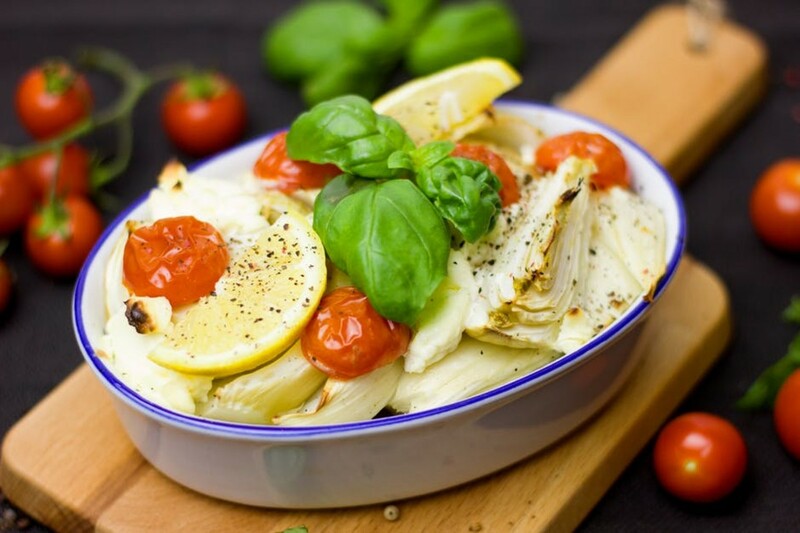 The test is to establish whether the dish is made of materials that absorbs heat and not allow heat to pass through or it allows heat to pass through. If the dish allows heat to pass through, it is not safe. Step 1: Fill the microwave-safe cup or glass with tap water and place it in the microwave oven. Step 2: Place the dish to be tested next to the cup in the microwave. (If the dish is big and there is no space to put the cup next to it, place the cup inside the dish). Step 3: Microwave the dish and the cup of water on highest power setting (100 per cent) for one minute. Step 4: Remove the dish and cup of water with a potholder and lightly touch the dish. If it is warm or hot, it is not safe for microwave. If the dish is cold and the cup of water is hot then the dish is safe for microwave. 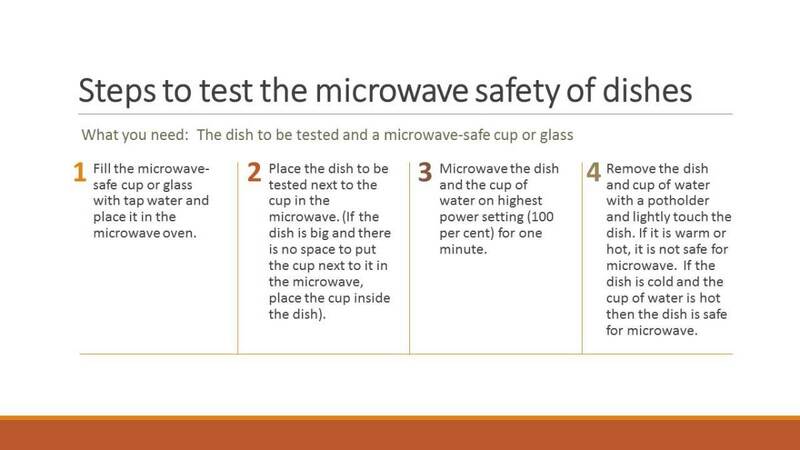 This is the simple test you can do to test the microwave safety of dishes. Once you know which dishes in your kitchen are microwave-safe, label them at the back bottom with a permanent marker for ease of identification. To conclude, there are two ways to determine the microwave-safety of dishes. First, check the manufacturer’s label at the back bottom of the dish which should indicate whether the dish is microwave safe or not microwave safe. If there is no label, you can test the microwave safety of the dish by placing the dish and a microwave-safe cup of water in the microwave and turn it on for 1 minute. If the dish is hot, it is not safe for microwave. If the dish is cold but the cup of water is hot then the dish is safe for microwave.